JONESBORO, AR (KAIT) -Football fans across Region 8 had the chance to celebrate the sport's biggest day by participating in the St. Jude S'travaganza. Over 1,000 people attended Sunday’s event and included over 600 silent auction items, with tons of food and 56 TV’s to watch the Super Bowl. For 26 years, Fred and Susan Cathcart have hosted the event in memory of their daughter Donna. “It was started in memory of our daughter so it’s a way to remember Donna and that’s real special to us, but it’s a way to help all the other St. Jude Children,” Susan Cathcart said. In their first year, the Cathcarts' raised over $14,300 and in the 26 years since, they’ve raised over $5.2 million, with every dollar going towards St. Jude’s Children’s Hospital in Memphis. The Cathcarts' said while everyone enjoys the good food and company, the people attending leave with more than just a good Super Bowl memory. 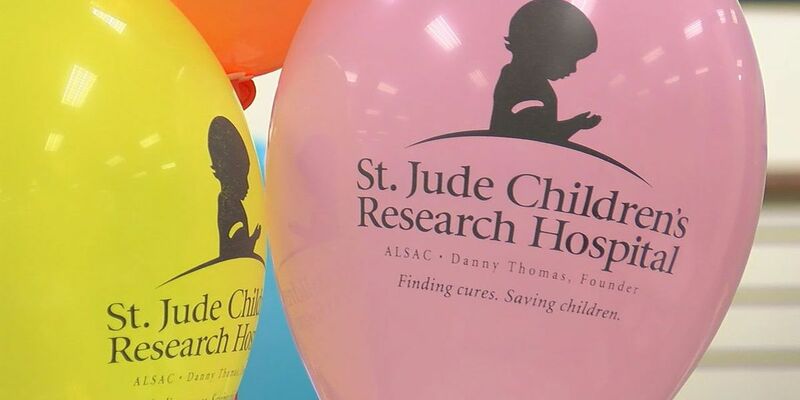 “They take home with them a new awareness of St. Jude’s and what St. Jude does for all the children, not just in Northeast Arkansas but across the world,” Susan Cathcart said. And now, the Cathcarts' said Sunday they plan to step down after hosting the event for 26 years, and while they don’t know if anyone will take over, Sunday’s event could very well be the last for Jonesboro. “I hope we can keep doing it, might not be on as big a scale as this one but I hope we can keep going,” volunteer Pam Thomas said. Despite the plans to now step down, the family said they don’t plan to quit doing all they can to help St. Jude. “We will not quit, we’ll still be raising money for St. Jude,” Fred Cathcart said. “Stay tuned, there just might be a new project in the next year just keep watching,” Susan Cathcart said.